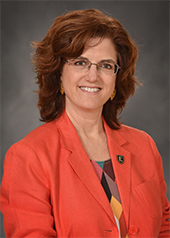 Deborah L. Slawson, Ph.D., R.D., L.D.N. The University of Memphis, Ph.D.
Slawson, D. College Students As Facilitators to Reduce Adolescent Obesity Disparity In Southern Appalachia. NIH-NIMHD, 2011-2013. Schetzina, K., Slawson, D. Co-I. Combating Child Obesity and Diabetes in Northeast Tennessee: Winning with Wellness. Tennessee Center for Diabetes Prevention and Health Improvement, 2007-2008. Slawson, D. Role of foods fortified with iron, omega-3 fatty acids and fiber in improving elementary school-aged children’s behavioral outcomes. Research Development Committee, 2008-2009. Klesges, R. C., Obarzaneck, E., Kumanyika, S., Murray, D.M., Klesges, L. M., Relyea, G. E., Stockton, M.B., Lanctot, J.Q., Beech, B.M., McClanahan, B. S., Sherrill-Mittleman, D., Slawson, D. L. (2010). The Memphis Girls health Enrichment Multi-site Studies (GEMS): An evaluation of the efficacy of a two-year obesity prevention intervention in African-American girls. Archives of Pediatrics and Adolescent Medicine 164 (1):1007-1014. McClanahan, B. S., Stockton, M.B., Lanctot, J.Q., Relyea G., Klesges, R. C., Slawson, D. L., Schilling, L. P. (2009). Measurement of body composition in 8-10-year-old African-American girls: A comparison of dual-energy X-ray absorptiometry and foot-to-foot bioimpedance methods. International Journal of Pediatric Obesity Feb 26:1-8. Slawson, D.L. (2009). Live the Diet: Incorporating empathy and counseling effectiveness in dietetics education. Article published in the Dep-Line: Newsletter for the Dietetic Educators of Practitioners Practice Group of the American Dietetic Association. Slawson, D.L., Pack, R., Elolia, R., Austin, S. & Fair, J. (2009). Tennessee Coordinated School Health Report 2007: Executive Summary. Report to the Tennessee Department of Education Office of Coordinated School Health. Slawson, D.L., McClanahan, B.S., Clemens, L.H.E., Ward, K.D., Klesges, R.C., Vukadinovich, C.M., & Cantler, C.M. (2001). Food sources of calcium in a sample of African-American and Euro-American collegiate athletes. International Journal of Sport Nutrition 11:199-208. Scarinci, I.C., Slawson, D.L., Watson, J.M., Klesges, R.C., & Murray, D.M. (2001). Socioeconomic status, ethnicity, and health care access among young and healthy women. Ethnicity and Disease 11:60-71. Slawson, D.L., Clemens, L.H., & Bol, L. (2000). Research and the clinical dietitian: Perceptions of the research process, potential barriers to participation, and preferred routes to obtaining research skills. Journal of the American Dietetic Association 100:1144-1148. Clemens, L.H.E., Slawson, D.L., & Klesges, R.C. (1999). The effect of "eating out" on quality of diet in premenopausal women. Journal of the American Dietetic Association 99:442-444. Eck, L.H., Slawson, D.L., Williams, R., Smith, K.R., Harmon-Clayton, K., & Oliver, D. (1998). A model for making outcomes research standard practice in clinical dietetics. Journal of the American Dietetic Association 98:451-457. Slawson, D.L., & Eck, L.H. (1997). Intense practice enhances accuracy of portion size estimation of amorphous foods. Journal of the American Dietetic Association 97:295-297. Playtime with my young son, and when there’s time, reading and pottery.